This book is currently unavailable – please contact us for further information. ​Digital technologies are changing the way that surgeons operate. They are revolutionizing the ability of surgeons to visualize, plan, and create rapid prototyped models and patient- specific implants for the broad disciplines of ENT, plastic, oral and maxillofacial surgeons. 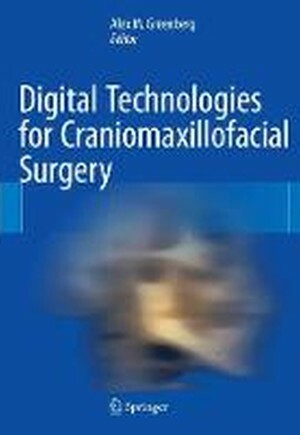 This book provides information on the latest digital technologies available for craniomaxillofacial surgery, discussing how this technology allows for preplanned procedures with improved and superior outcomes. Rather than improvise during surgery, surgery and its procedures can be preconceptualized with superior outcomes and decreased patient morbidity. 1. Craniomaxillofacial Surgery Digital Technologies: An overview.- 2. Helical CT and Cone Beam CT: Basis for Digital Navigation and Manufacturing.- 3. Navigation for Sinus Surgery.- 4. Navigation for Craniomaxillofacial Reconstruction.- 5. CT Guided Dental Implant Surgery.- 6. Orthognathic Surgery: Digital Planning.- 7. Craniomaxillofacial Oncological Surgery: Digital Planning.- 8. Craniomaxillofacial Surgery: Custom Bone Plates.- 9. Optical Technologies for Restorative Dentistry.- 10. Rapid Manufacturing Technologies for Craniomaxillofacial Surgery and Dentistry.- 11. Custom Facial Implants using 3D Modeling.- 12. Custom Cranial Implants using 3D Modeling.- 13. Future Directions of Craniomaxillofacial Surgery and Digital Technologies. Dr. Alex Greenberg is an assistant clinical professor in the Division of Oral and Maxillofacial Surgery at Columbia University’s School of Dental and Oral Surgery, as well as a Clinical Instructor in the Division of Oral and Maxillofacial Surgery in the Department of Dentistry at Mount Sinai School of Medicine.